-JdK- James in the UK sent these pics and the text below; the bike could be a late 1930s Model 16H Norton. James: "While sifting through my dad's old family photos, I found this one of us on holiday, it was taken around 1954 ... I was aged 5. Sadly he died in 2012. On the back it says ... Typical hedges of Devon... If I recall correctly it was a Norton 500cc. 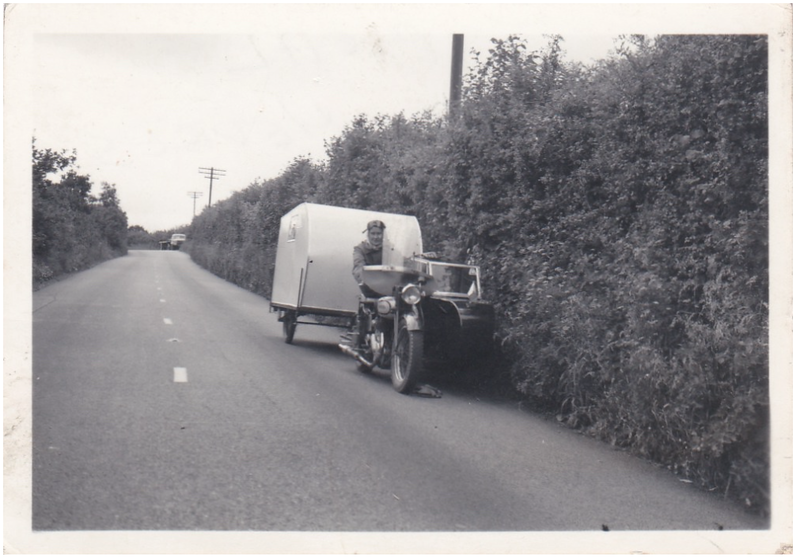 He built the 'caravan' at home in the back garden ... very simple affair ... it had two fold down canvas hammock beds for me and my sister ... mum and dad slept on the floor on a double air bed ... The rear wall opened up to form a roof, it had two legs, with side screens to form a kitchen/ washing room. 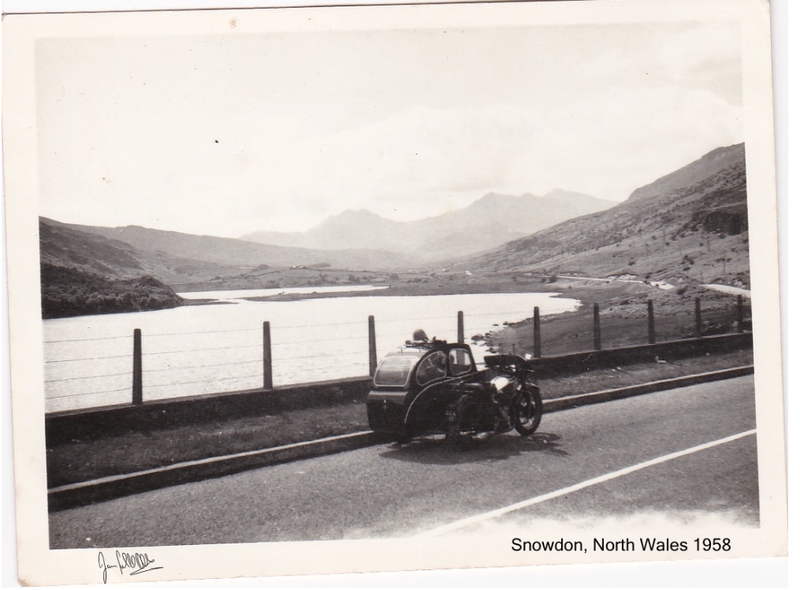 My mum looks as if she is posing side saddle ... gauntlets on the roof of the sidecar ... you can just make out the pilots goggles on her forehead ... perhaps one of the first motorcycle combinations towing a caravan.. ? I have very fond memories of our holidays to Devon ... three days travelling from near Glasgow, an epic trip in these days ... later on he allowed me to ride pillion ..."